Black bean and quinoa burgers are probably my favourite type of veggie burger. Not long ago, I had the most amazing burger from Mooshies, a vegan burger bar on Brick Lane, London. It was like a kind of mock Big Mac, but of course so much tastier – I’m scarred from the one bite I had of an actual Big Mac three years ago! 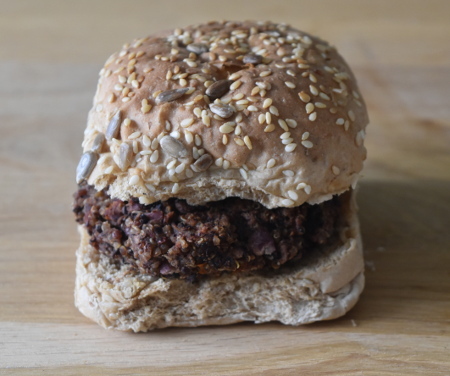 However, the utter deliciousness of the black bean and quinoa Mooshies burger inspired me to recreate this phenomenon in my own kitchen – so voilà, my vegan black bean and quinoa burgers! With this patty, I would go all out and serve it with caramelised onions, my Best Burger Sauce, some pickles, lettuce and maybe even some vegan cheese. 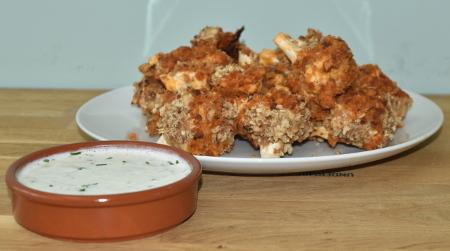 Alternatively, go simple and just put a little bit of Homemade Tomato Ketchup on it! Either way, the black bean and quinoa burger is sure not to disappoint. 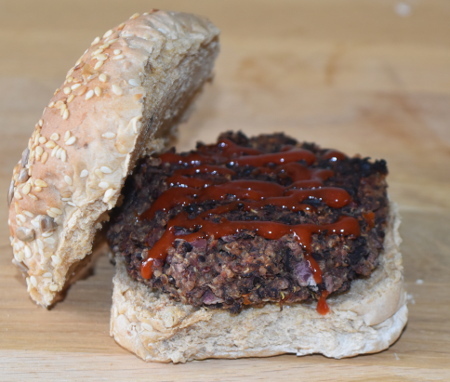 As with many vegan burgers, consistency is so important – pulse the mixture rather than blitzing the life out of it! 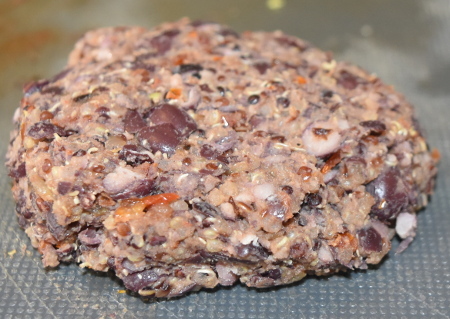 Luckily, the quinoa adds good texture and binds really well with the blended black beans, so for this recipe we don’t need any flour or other binder to keep the patties together. Makes 4 small burgers, or 3 slightly bigger ones. Prep time: 30 minutes. Cooking time: 15 minutes. Start by lighting the barbecue and heating it to 180°C (356°F), or wait until the charcoal is hot and glowing before cooking. Put the quinoa in a saucepan and cover with water. Put on a medium heat and cook until the quinoa has softened and soaked up all the water – this should take about 20 minutes. Alternatively, pop the quinoa in a microwavable bowl, cover with water, and just microwave the quinoa for 20 minutes. While waiting for the quinoa to cook, fry the onion in a small pan on a medium heat for 5-10 minutes, until soft. Then add the sundried tomatoes, fresh garlic, along with the coriander powder, onion powder, garlic powder, salt, cracked black pepper and hot pepper sauce, and cook for a further 5-10 minutes on a low heat. When the quinoa is cooked, pour it into a food processor with the seasoned onion mixture. Add all of the black beans too. Pulse until there aren’t any whole black beans left, but the mixture still has a few lumps in it – we don’t want it to be too sticky! Spoon the burger mixture out of the food processor and shape into patties. Pop the burgers onto the barbecue grill and cook for about 7½ minutes on each side. Serve in a burger bun with whatever variety of toppings you like or even just plain – the burgers are flavourful enough that they stand up on their own. Enjoy your black bean and quinoa burgers!